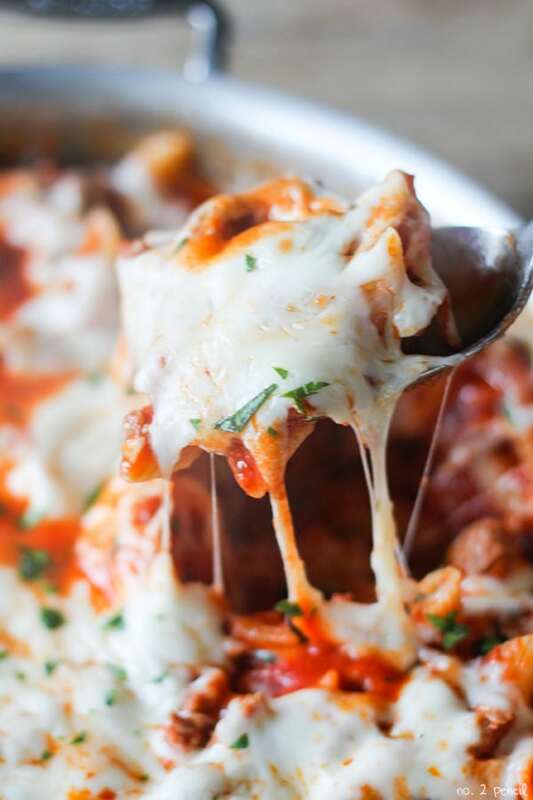 This One-Pot Baked Ziti is just as delicious as the traditional oven baked casserole dish, and the best part is that it’s ready in just about thirty minutes. 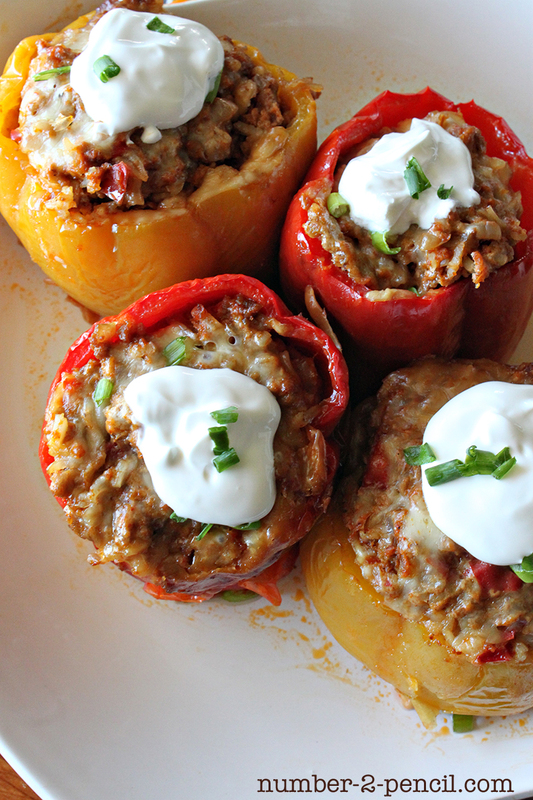 In this version, I used our favorite hot Italian turkey sausage from Jennie-o. 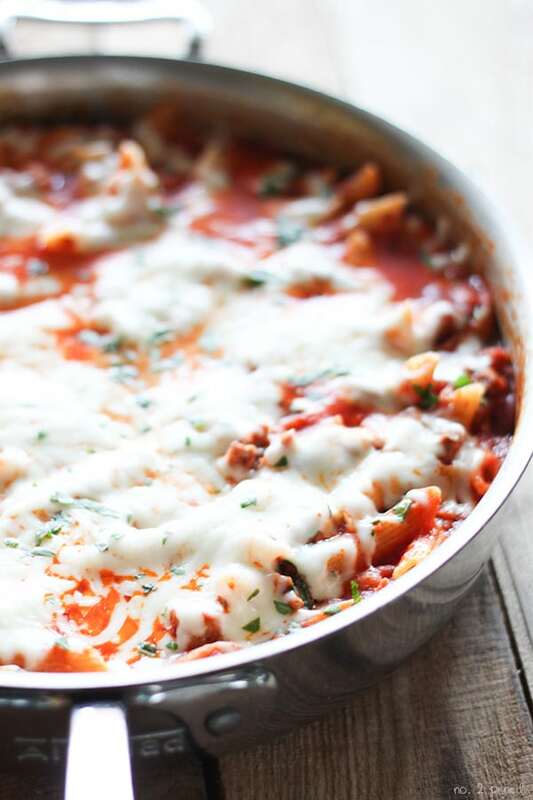 I love this sausage because it gives the baked ziti an extra layer of flavor and heat, but is still kid-friendly, which is a must in our house. 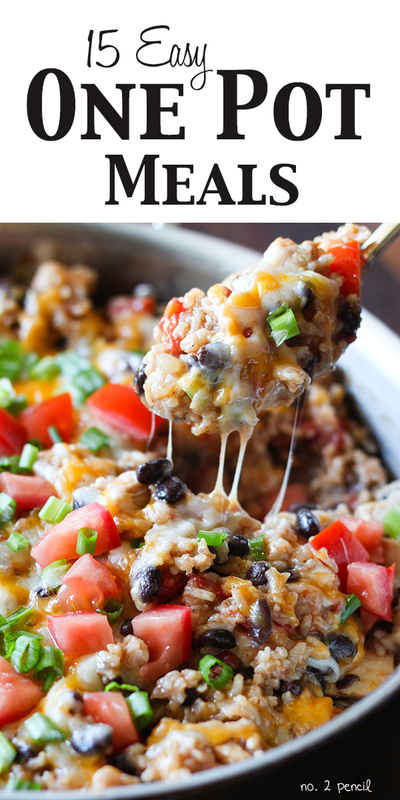 You can substitute sweet Italian turkey sausage, regular Italian sausage or even ground beef in this dish. 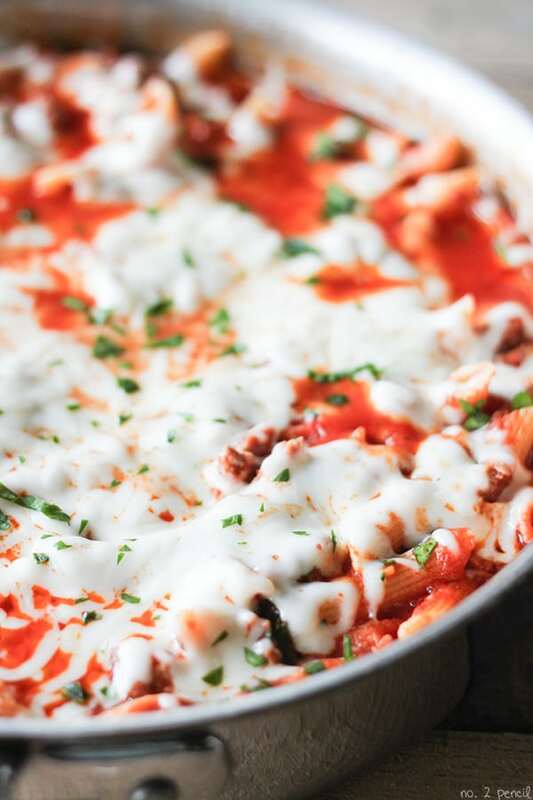 In this One-Pot Baked Ziti, I skip the jarred spaghetti sauce and make my own using onions, garlic, crushed tomatoes and fresh herbs. 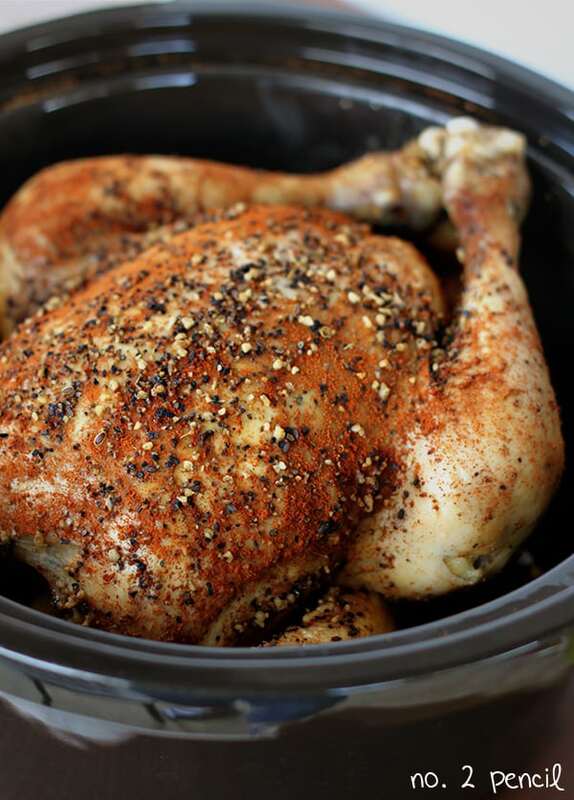 Low sodium chicken broth gives this one-pot recipe a slow cooked flavor. 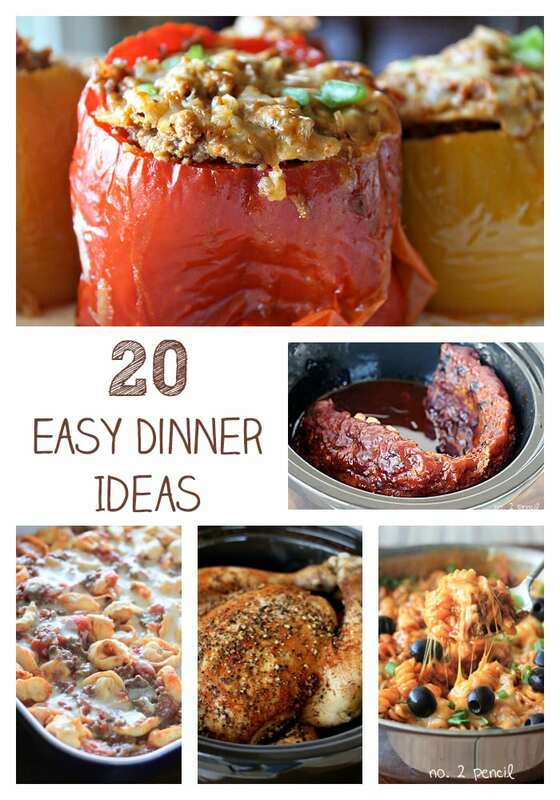 Bonus: This makes delicious leftovers! This recipe really fills up my 4-quart saute pan, so if you have anything smaller you might want to try a larger pot. Start by sautéing onions and garlic in olive oil. then add sausage, breaking up as it cooks. Once sausage is cooked through, stir in tomato paste. 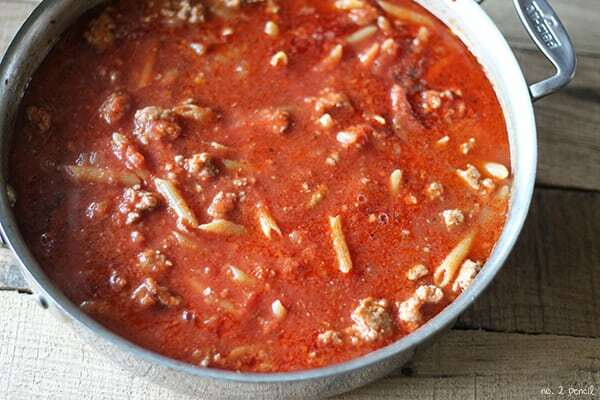 Add crushed tomatoes, low-sodium chicken broth, uncooked pasta and salt and pepper to pan. Bring to a simmer, cover and let cook on low for about fifteen minutes. 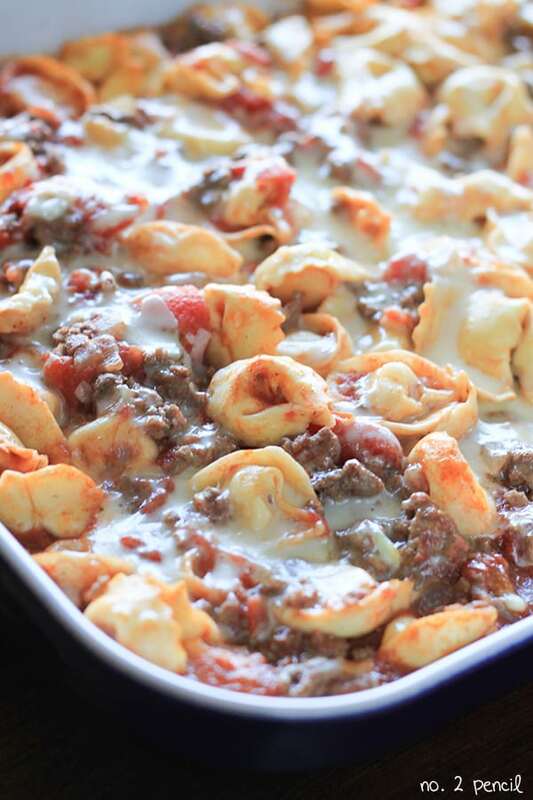 Just until pasta is tender. Remove lid and stir in fresh herbs. I used about 1/2 a cup of freshly chopped parsley. Top with freshly shredded mozzarella cheese and cover with lid again so cheese can melt. In a 4 quart saute pan, saute onions and garlic over medium heat until onions start to soften. 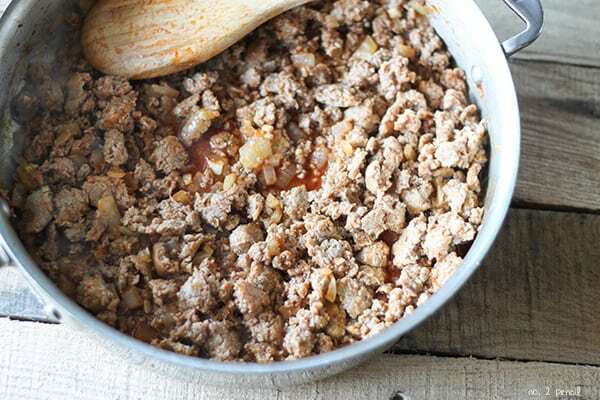 Remove turkey sausage from casing and add to pan, breaking up as it cooks. Once sausage is cooked through, stir in tomato paste. Stir in crushed tomatoes, chicken broth, uncooked pasta, 1/2 teaspoon of salt and several turns of freshly ground black pepper. Bring up to a simmer, cover and reduce heat to low. 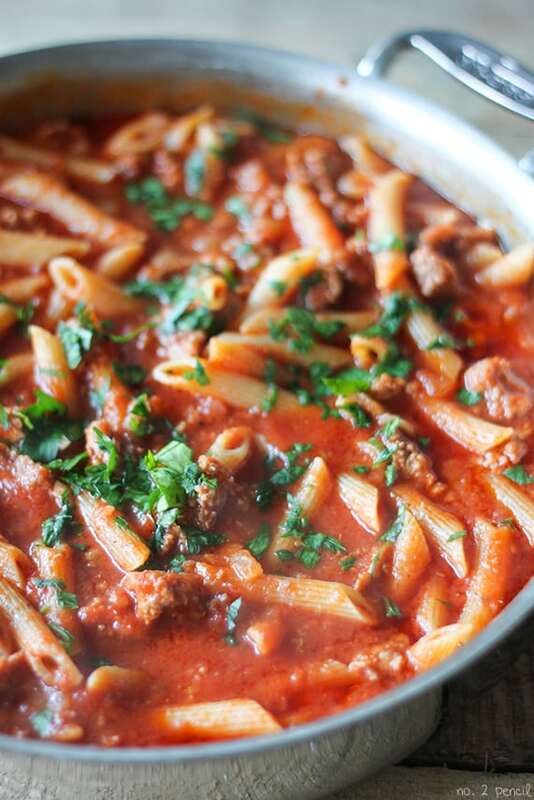 Let cook for about fifteen minutes, just until pasta is tender and sauce has thickened. Remove lid and stir in fresh herbs and top with cheese. 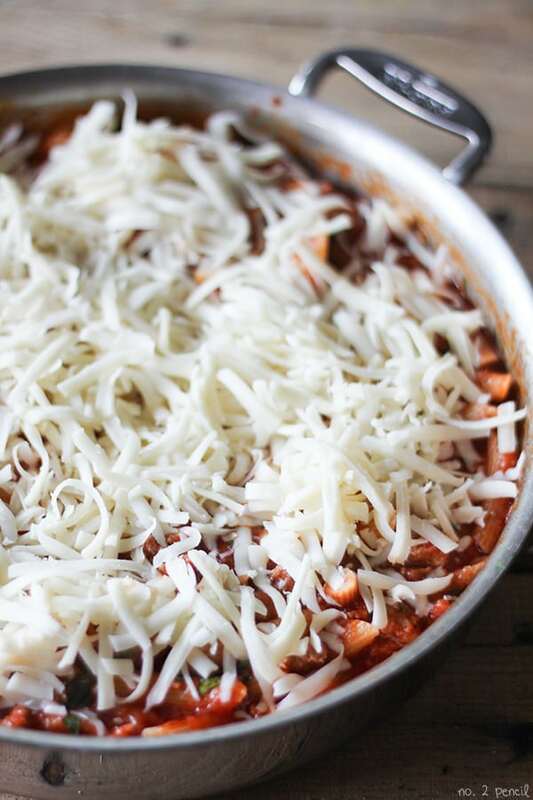 Replace lid and let stand covered off heat until cheese has melted. This looks AWESOME!!! It was nice to meet you and your cute family (in the elevator) at Disney….hope you are adjusting to post party life better then I am…….take me back to Sunny Florida! …….on another note, I love your blog, can’t pull myself away, you are a super duper talented little lady Melissa!! !